Here’s a few diagrams that I’ve been doodling on for a while. 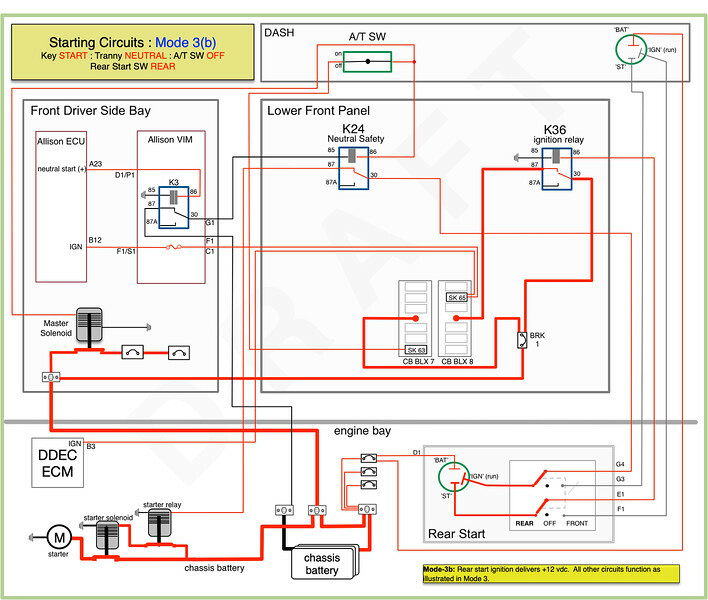 What these attempt to illustrate is the circuits and components that come into play when you start the S60 on a WB coach. I would imagine it’s close to the same on other coaches. The goal was to take some of the mystery out of what happens when the key is turned, or the A/T switch is activiated, or REAR START is selected. I find that at least having a ideal of what should be happening - helps the troubleshooting process, and also helps reduce the stress level when things go wrong. DISCLAIMER: I’m not an electrical engineer and don’t do this for a living. I just enjoy figuring this stuff out - or at least trying to figure it out. For the experts that have done this - or currently do this for living - feel free to check for errors and give feedback - I’ll be happy to revise. After any suggested corrections are made, I’ll attach the originals. Higher resolution versions of S60 WB42 diagrams I’ve created to help with the learning process can be seen and downloaded from here. Last edited by jcs707; 5 Days Ago at 07:20 AM. You have nailed it again Clint. These diagrams make it so much more user friendly for rest of us! I don't leave home without em! This will come in really handy, thanks Clint! As usual, great job Clint! I'm no expert with electrical drawings, but it appears the A/T switch when in the OFF position is shown closed and when in the ON position is shown open. Hi Andy, ... yea ... it's confusing. But when Anti-Theft is 'OFF' the circuit logic actually calls for a completed circuit (i.e., switch is closed). 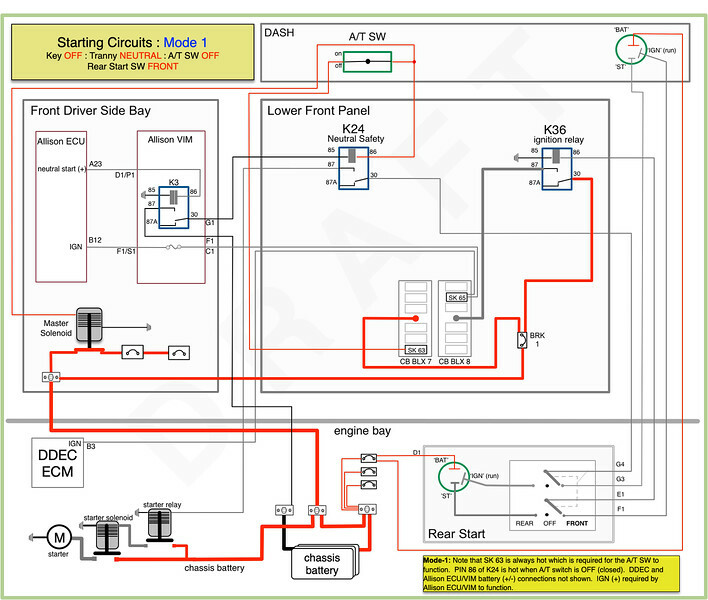 When Anti-Theft is 'ON' the circuit logic requires an open circuit (i.e., switch is open). The A/T switch is simply the control circuit for the Master Solenoid. So when Anti-Theft is 'OFF' the Master Solenoid is activated which provides power to numerous other CB BLKs through out the coach - AND to K24. 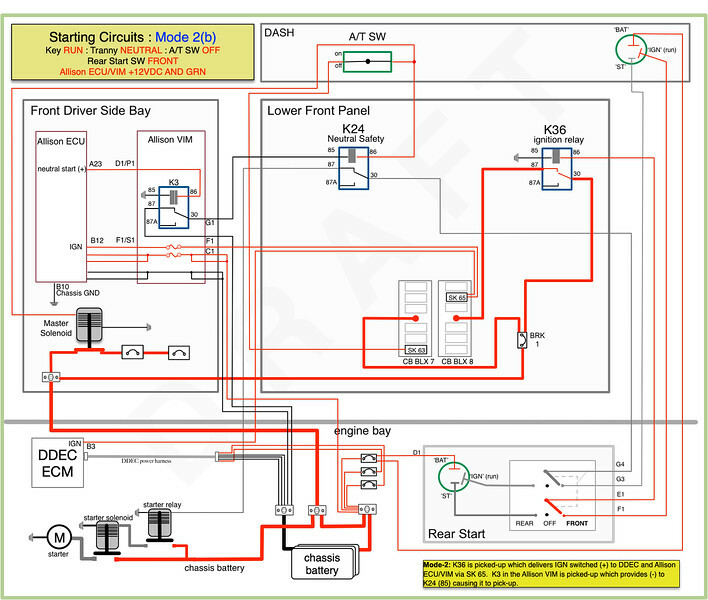 When Anti-Theft is 'ON' (switch open) power is never sent to K24 which is required to engage the Starter Relay. Thus, the A/T switch keeps the bus from starting because when the switch is 'ON' the circuit is actually open and thus power never gets to K24.